Sixteen years after its debut, a character from the film Spirited Away has returned in a slightly different form. Spirited Away is, of course, the creation of Ghibli, the animation studio led by Hayao Miyazaki adored around the globe. Aside from their beautiful landscapes and unique stories, one reason Ghibli films are so loved are their casts of bizarre yet lovable characters. No-Face is one such character: despite his mysterious, amorphous appearance and lack of, well, face, this creature has become one of Ghibli’s most adored, used for all sorts of merchandise, including this new piggybank. The bank is quite unique: instead of dropping your coins into a slot, No-Face senses the weight of the change placed on the bowl in his hands and, like in that famous scene from the film, gobbles it right up. Listen and you’ll hear him let out a little yelp alongside some playful music before digging in with those crooked teeth – and a big burp to wrap things up. 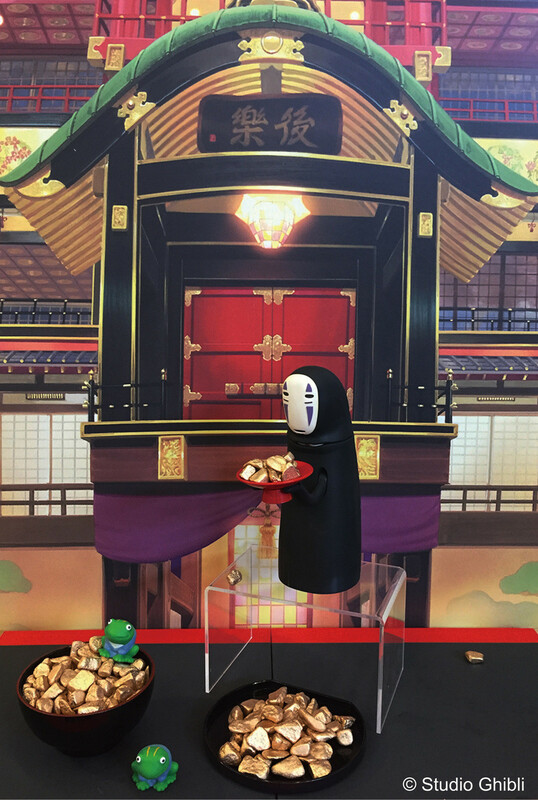 The No-Face piggybank will be available May 20, at Republic of Donguri Ghibli stores all around Japan or online for ¥4,800 (plus tax). 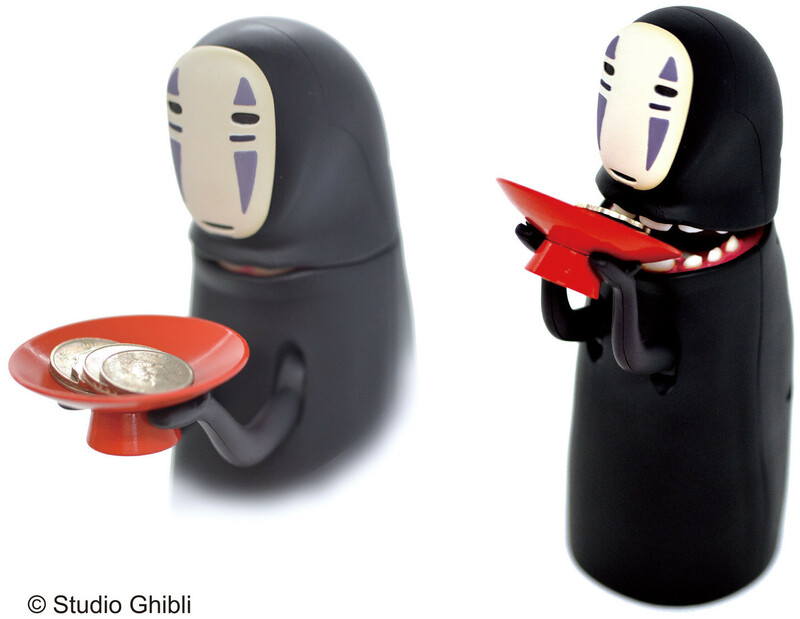 Fans of Ghibli will no doubt get a kick out of feeding their change to No-Face.